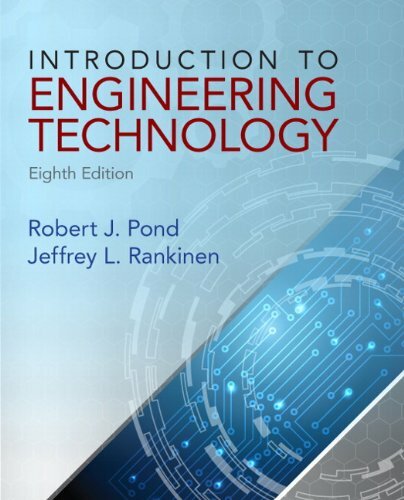 Author(s) Robert J. Pond Rankinen, Jeffrey L.
Introduction to Engineering Technology, Eighth Edition, explains the responsibilities of technicians and technologists in the dynamic world of engineering. The basic tools of engineering technology, including problem solving, calculator skills, conversion of units, geometry, computer skills, and technical reporting, are explained. Mathematical concepts are presented in a moderately-paced manner, including practical, worked-out examples for the engineering calculator. In addition to developing your skills in algebra, trigonometry, and geometry, this popular text also helps you to understand the broad spectrum of today’s technologies.